Explore a vast range of pre-owned cars at Mountbatten Car Sales today! One of our favourite brands at Mountbatten Car Sales is MINI, and thanks to iconic models like the Austin MINI and the MINI Cooper, it’s easy to see why the brand has a reputation that few other brands can match. MINIs are easily some of the most classic cars on our roads to date, and despite evolving throughout their lifetime, they remain instantly recognisable and share many of the same traits as the original model we grew to love. Have you been itching to hop behind the wheel of the MINI Hatch Cooper? Or perhaps you have wanted to take the popular Hatch One for a spin in Gloucester but look no further than Mountbatten Car Sales! 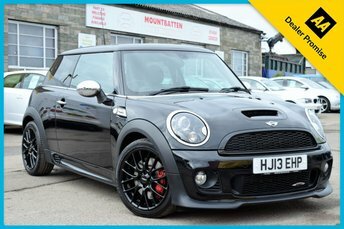 We are a leading supplier of used MINI cars and we are confident that our current range of used MINI cars for sale includes your perfect model. View your options on our website now.